Currently our finished creations are still listed on Etsy. Eventually we will be able to move them to this site but in the meantime, you will find all of Crystal’s BEAUTIFUL Creations by clicking the Shop Now button below. 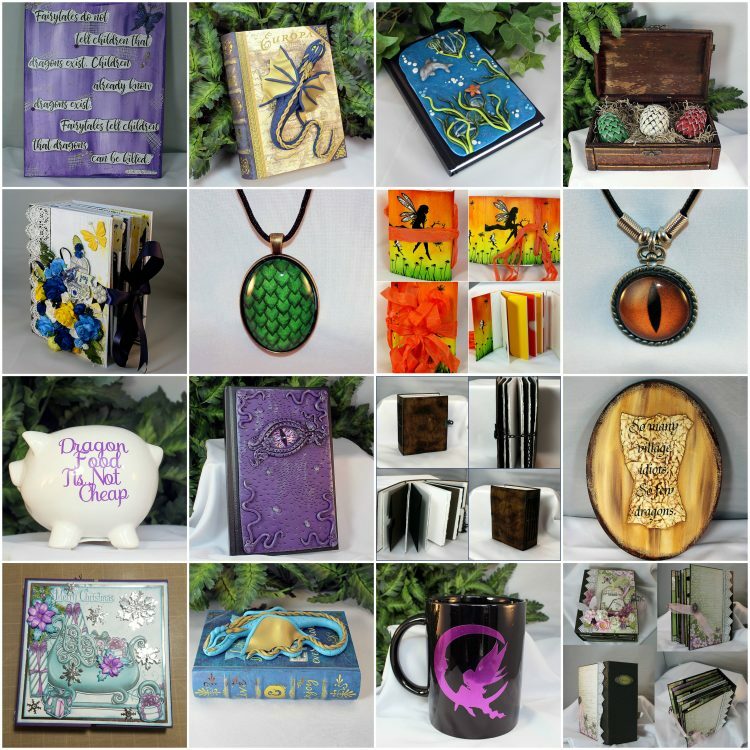 You will find items such as hand sculpted polymer clay dragons, dragon eggs, and other creatures mounted on books and chests, as well as handmade art journals, travel journals, greeting cards, canvas art, ceramic mugs, cabochon jewelry, and sketchbooks.